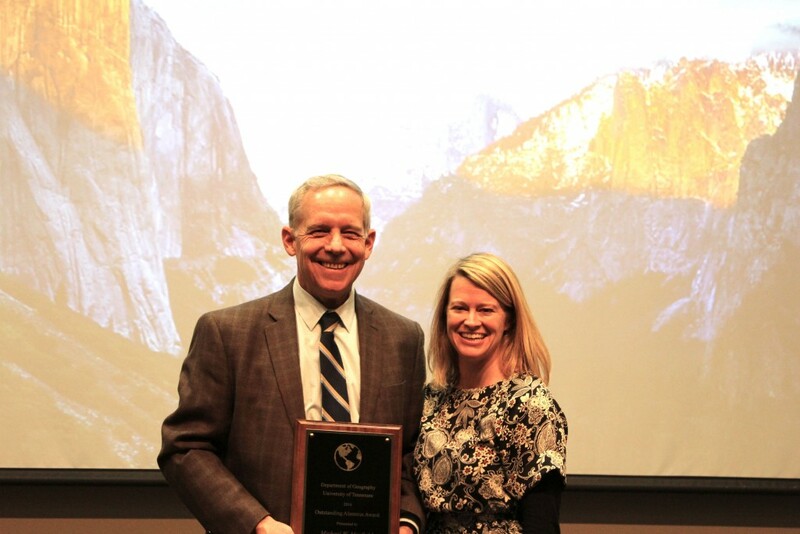 On February 25, the department had the honor of hosting Dr. Mike Mayfield, Vice Provost for Undergraduate Education at Appalachian State University, as the 2016 Distinguished Alumnus of the Geography Department. 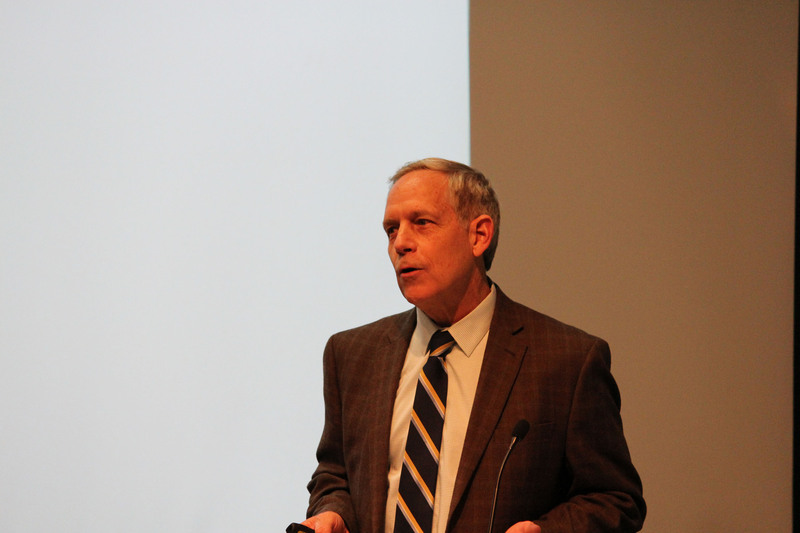 Dr. Mayfield received his Master’s and doctoral degrees in geography from UT in 1980 and 1984, respectively. 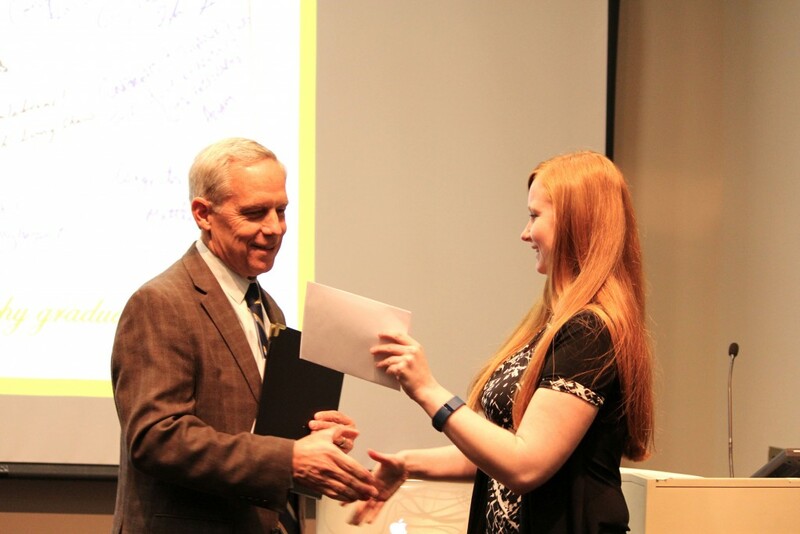 Dr. Mayfield has been a member of the faculty at Appalachian since 1988. 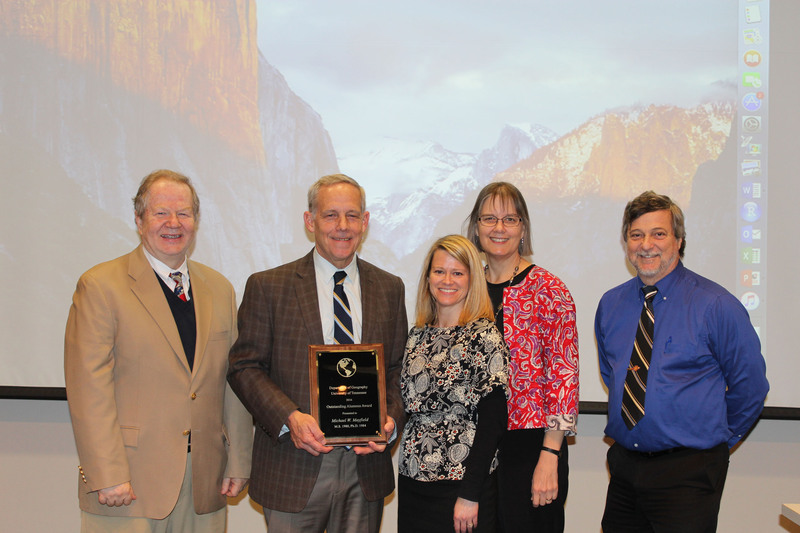 He served as faculty coordinator of General Education at Appalachian from 2007-10, was chair of the Department of Geography and Planning from 1998-2002 and interim department chair in spring 1996. He was a visiting scientist at the CATIE Research Institute in Costa Rica in spring 1995, and has led study abroad and field trips to Costa Rica, Ecuador and Peru.